When a productivity app feels like it's reached maturity, it's in a dangerous position: if active development is neglected, the app will start to stagnate amidst a changing world, but on the other hand, if change is pursued for its own sake, the app can easily become bloated and an inferior product overall. 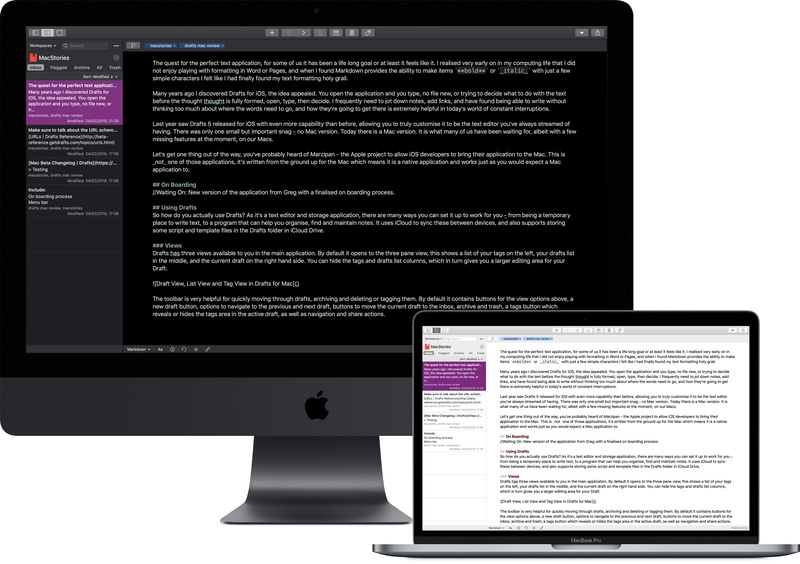 Ulysses 15 for Mac and iOS deftly navigates those potential dangers by offering thoughtful enhancements to existing features, plus new features that truly serve to enhance the core task of writing. There are improvements to image previews, writing goals, export previews, and keywords, plus big upgrades to how the editor can be set up on both the Mac and iPad. The core app remains largely the same, but it's now more compelling than ever before. 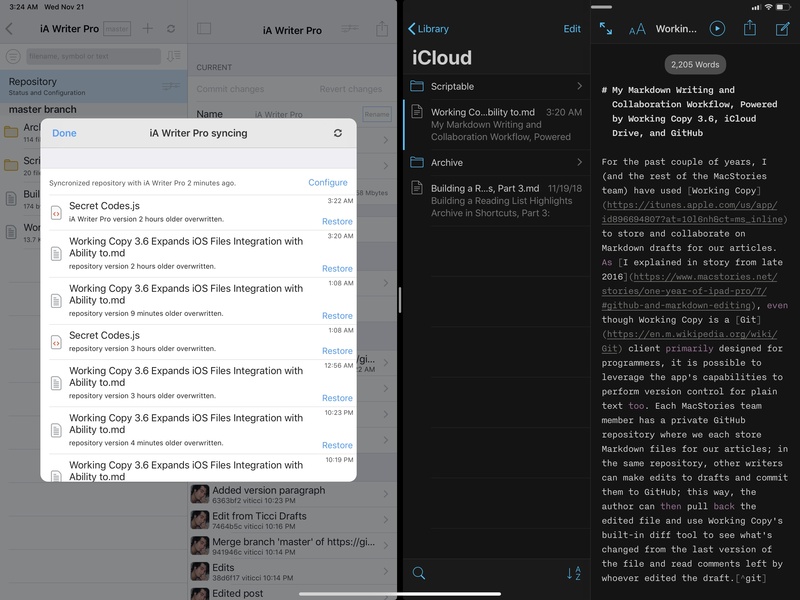 As I wrote in my roundup of must-have iOS apps, I've been using iA Writer as my text editor, primarily because of its integration with Working Copy, beautiful typography, and syntax highlighting mode. As a non-native English speaker, I find the latter particularly useful when editing articles. iA Writer was updated to version 5.2 last week, and I'd like to point out a few welcome enhancements in this release. One thing the MacStories team loves to do is constantly try new apps, compare the serious contenders in each app category, and settle on the app that suits us best. Most of the time this app evaluation process takes place on a merely private level, for personal purposes, but today I wanted to share in public an in-depth comparison and analysis of two excellent writing apps: Drafts and Ulysses. These two apps have been on my mind a lot in recent months. To share some context, I have used Ulysses as my primary Markdown editor almost exclusively since early 2016. During that time I’ve been very happy with the app, even through its transition last year to a subscription model. I’ve continued trying out the latest updates from Ulysses’ competitors, of course, but nothing else has stuck for me. However, there's one app I’ve long wanted to give a serious look at, but hadn’t been able to until recently: Drafts 5. Tim Nahumck’s review of Drafts was the first tug on my interest, causing me to follow updates to the app with a close eye. Then Federico had a successful experience writing his iOS 12 review in Drafts 5. Ultimately, I couldn’t resist giving the app a serious shot any longer. Drafts and Ulysses are very different apps in many ways. However, they share in common being powerful Markdown editors. 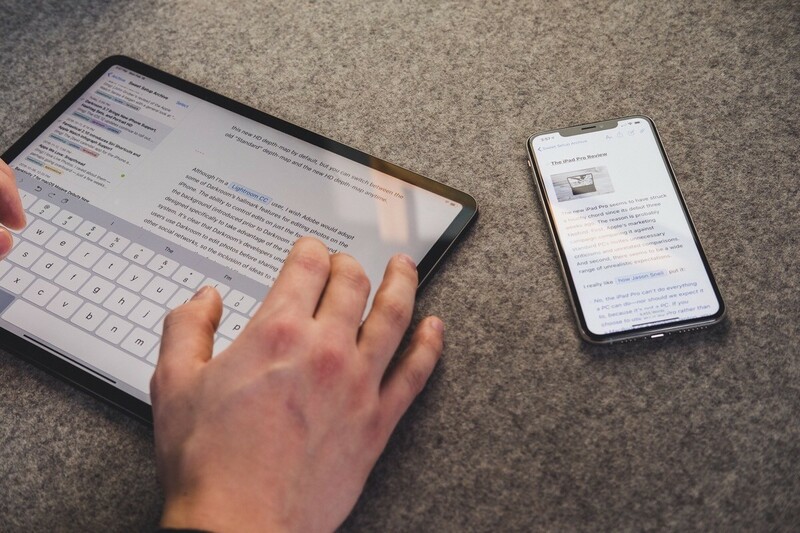 In this article I’ll walk through their similarities, divergences, and ultimately share which app I’ve decided to write in going forward. The goal is not to say which app is better, as the answer to that question is entirely subjective. Instead, I want to help you decide which app is likely best for you. 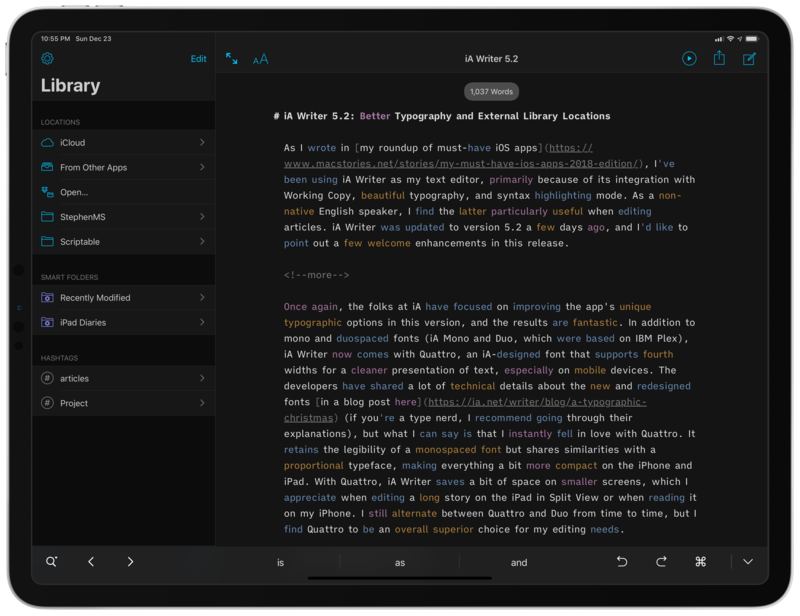 Ulysses 13 launched today for iOS and Mac, and it's all about putting more writing tools in your arsenal. It takes existing features of the app and makes them all better, leaving the app no more cluttered, but notably more useful. Improvements are in three areas: deadlines and daily writing goals, colored keywords, and syntax highlighting for code blocks.